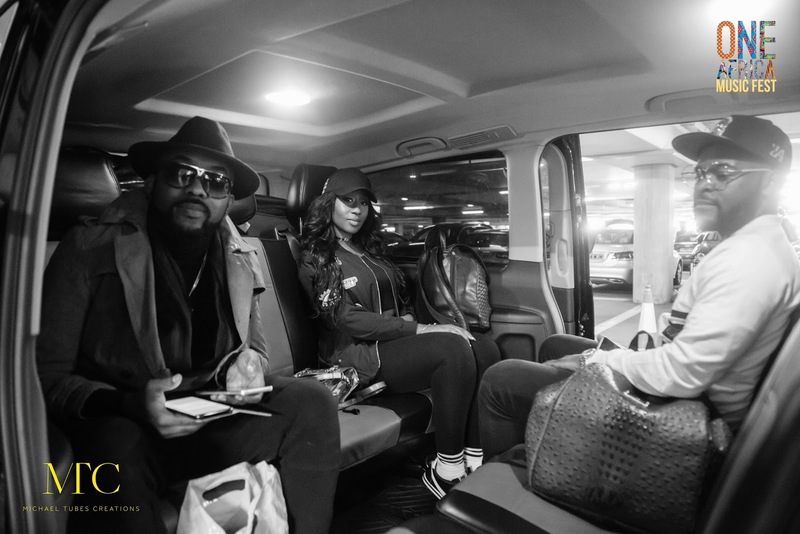 One Africa Music Fest host Banky W alongside the headliners Cassper Nyovest, Victoria Kimani, and Falz arrived at London Heathrow Airport this morning. 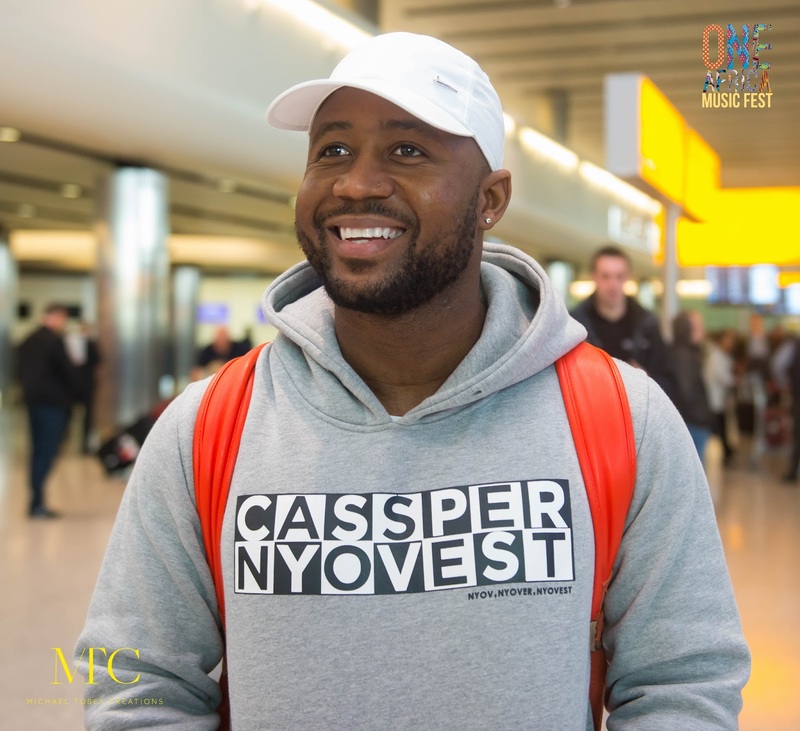 The stars arrived for the first ever One Africa Music Fest taking place in London this Saturday, May 13. 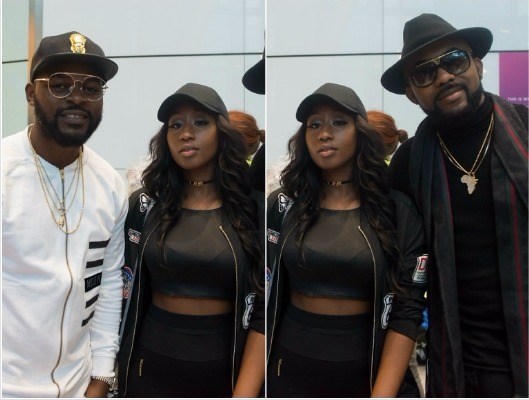 Other stars who will be performing at the event are Ghana rap star, Sarkodie, Congolese legend Awilo Longomba, 9ice and Atumpan. 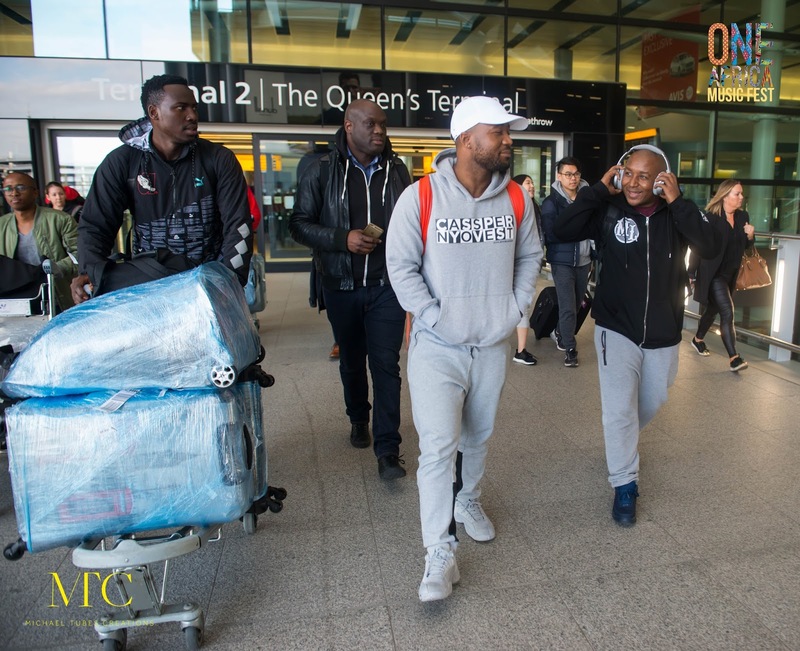 More stars expected to arrive in the UK over the next couple of days include Jidenna, Davido, Tekno, P-Square, Tiwa Savage, Olamide, Alikiba, Flavour N’abania, Phyno and M.I.